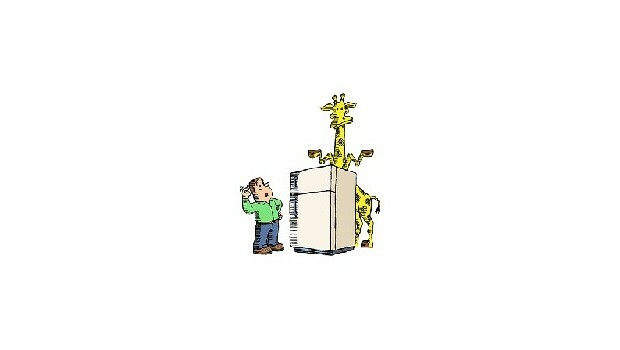 > Topics>Creativity>How Do You Put A Giraffe Into A Refrigerator? A wake-up call for managers and training seminars. If meetings and training sessions are an essential part of your organization, you know the importance of getting off to a good start. If your goal is to get everyone to contribute, this quick and quirky video is the way to achieve it. It will challenge any audience to think right out of the gate - and out of the box. Using fun riddles and entertaining animation, this short video will supercharge every ones brain before the real business of the session begins. Consider simple answers before looking for complicated ones. Think about the consequences of your actions. Focus on the big picture, not just a small part of it.